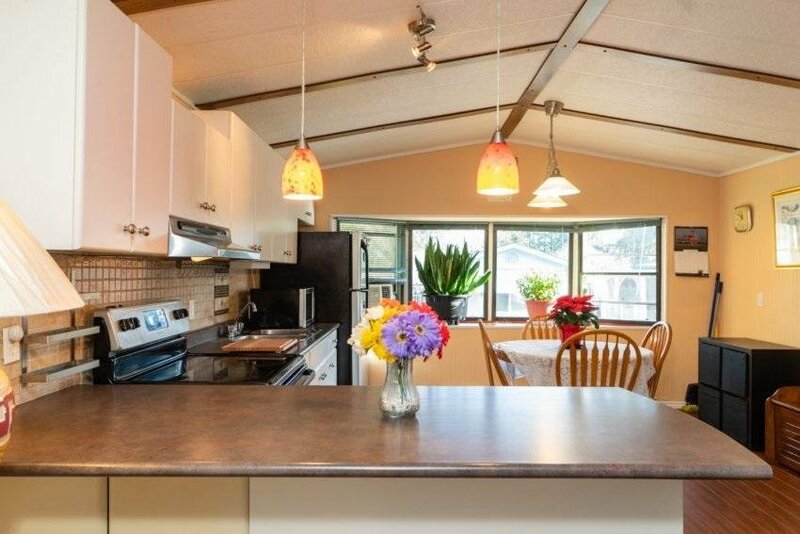 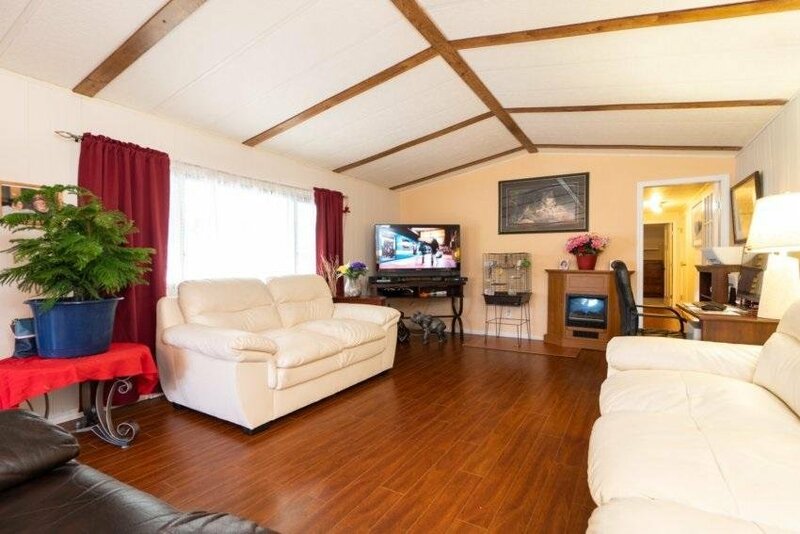 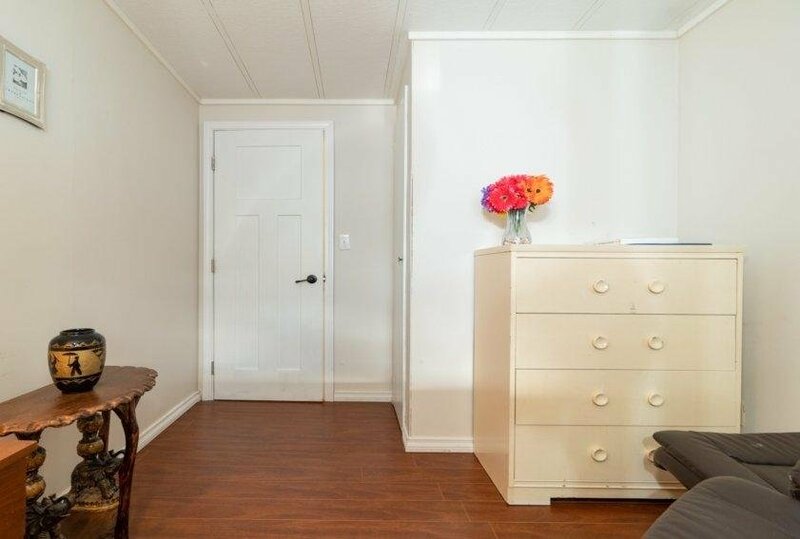 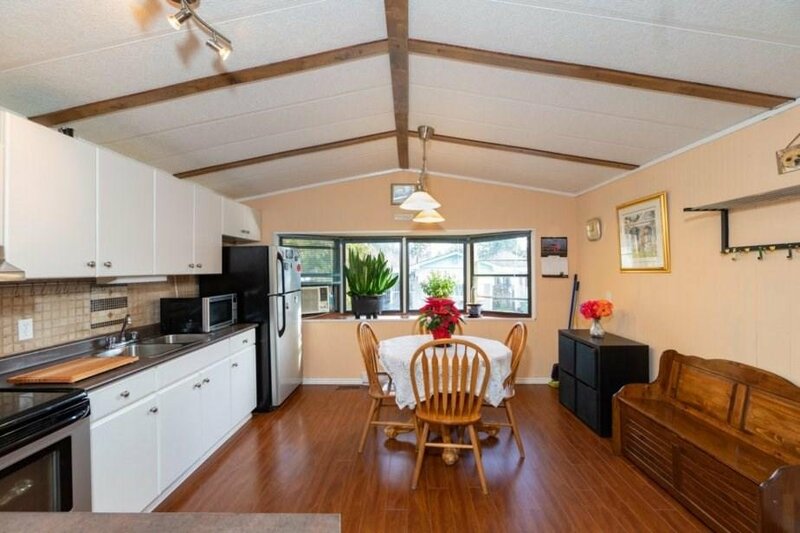 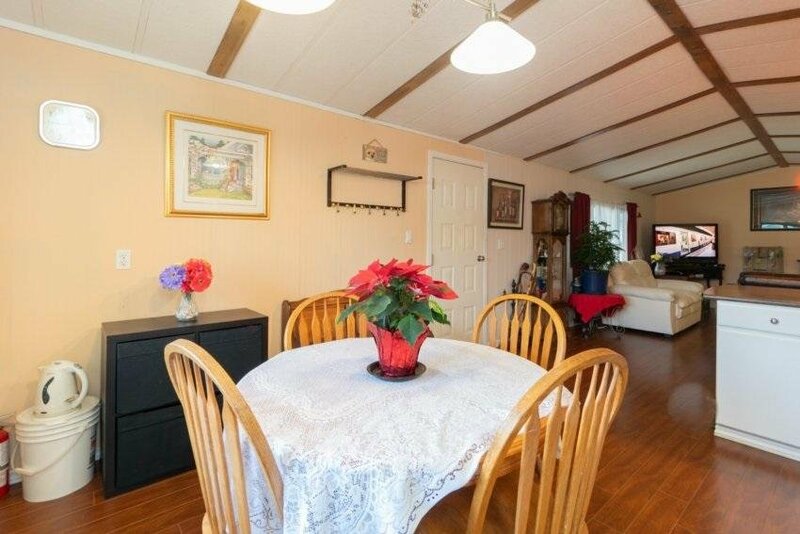 Very well maintained 2-bedroom home with vaulted ceilings, conveniently located at King George Blvd. 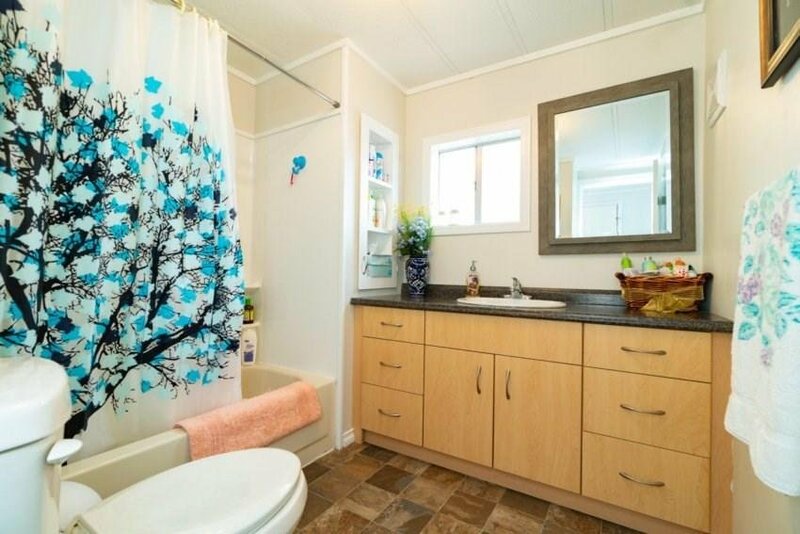 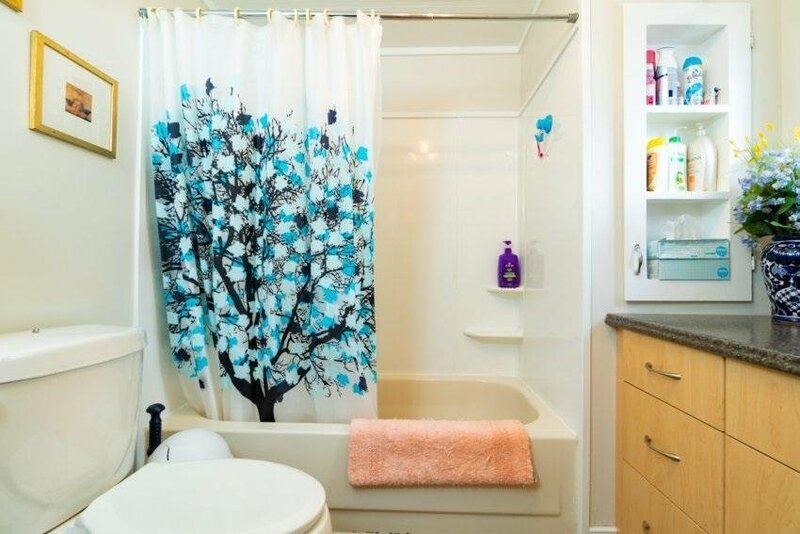 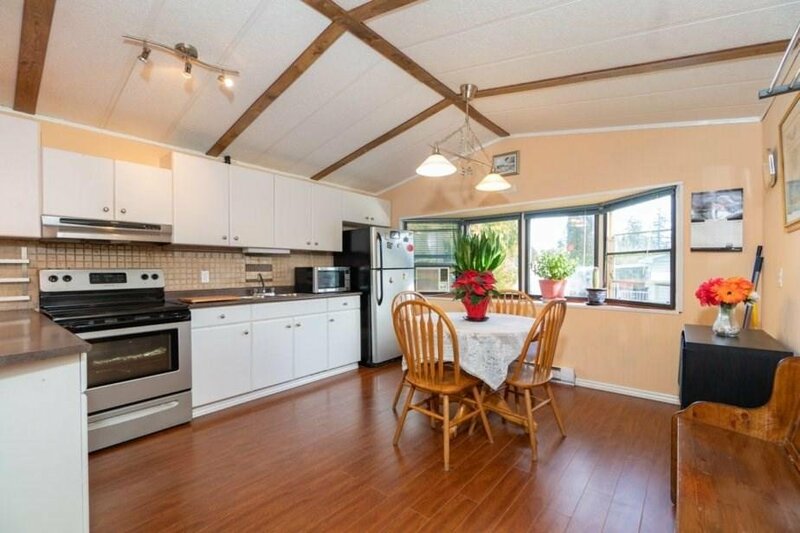 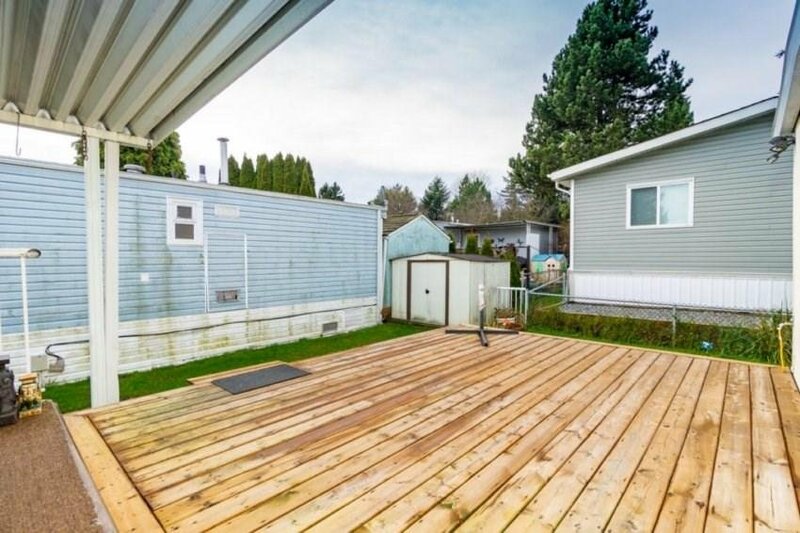 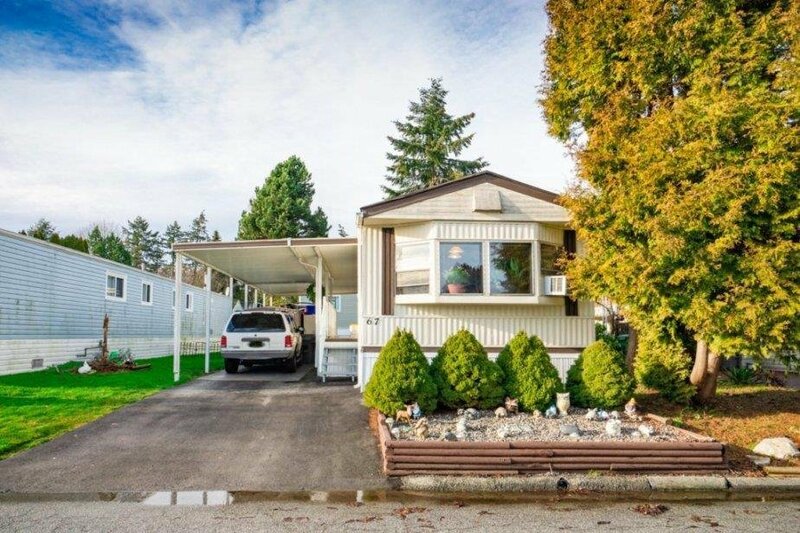 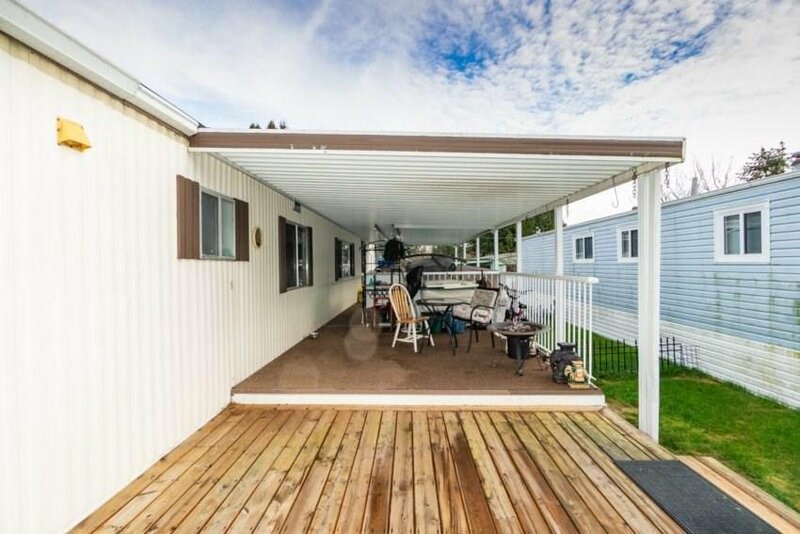 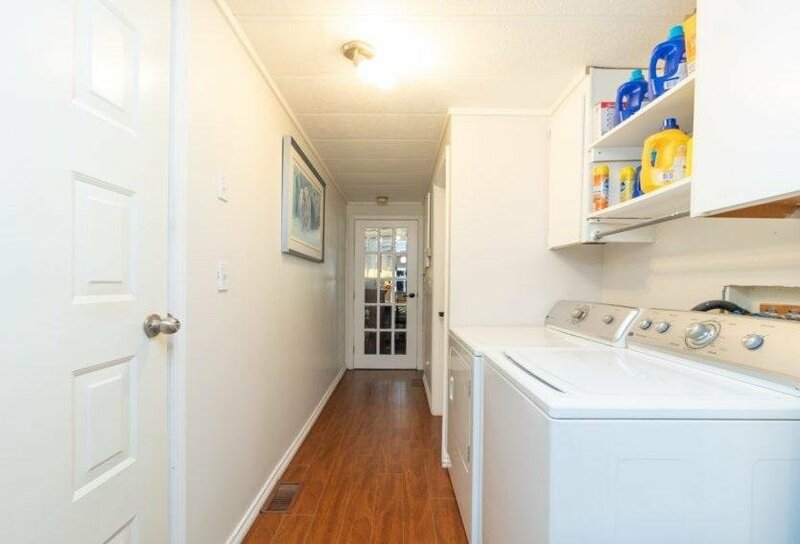 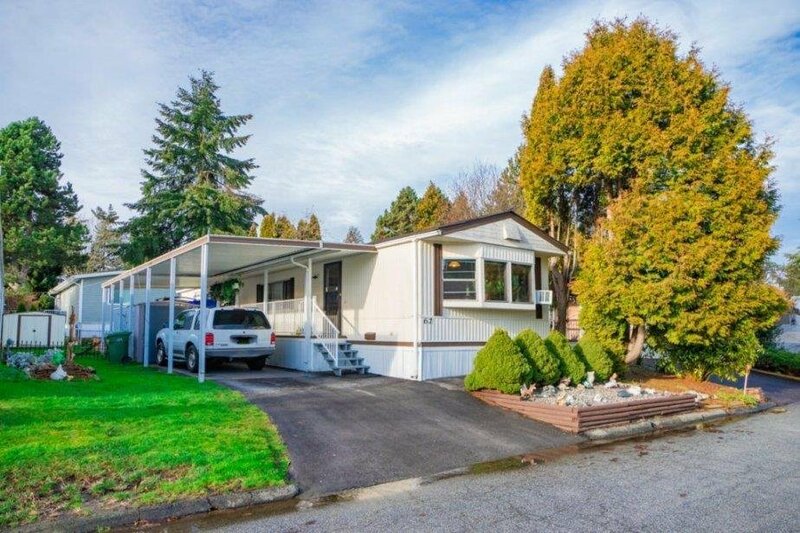 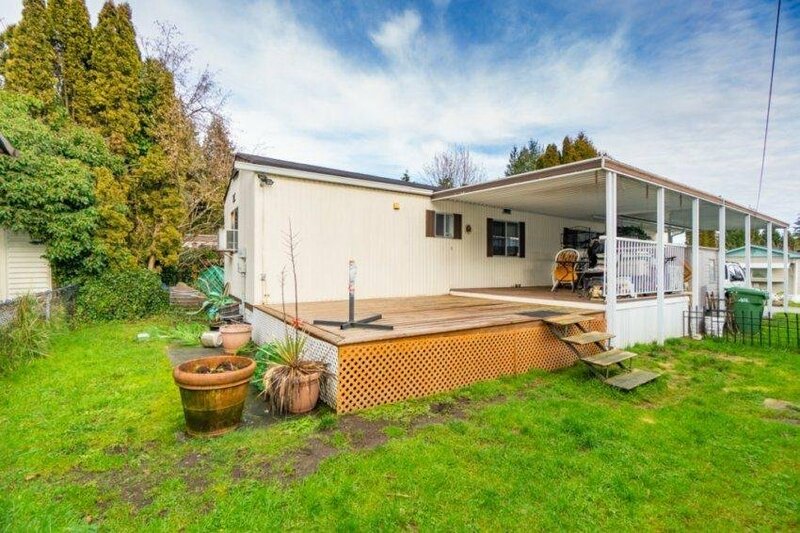 & 78 Avenue in Surrey, close to shopping and public transit. 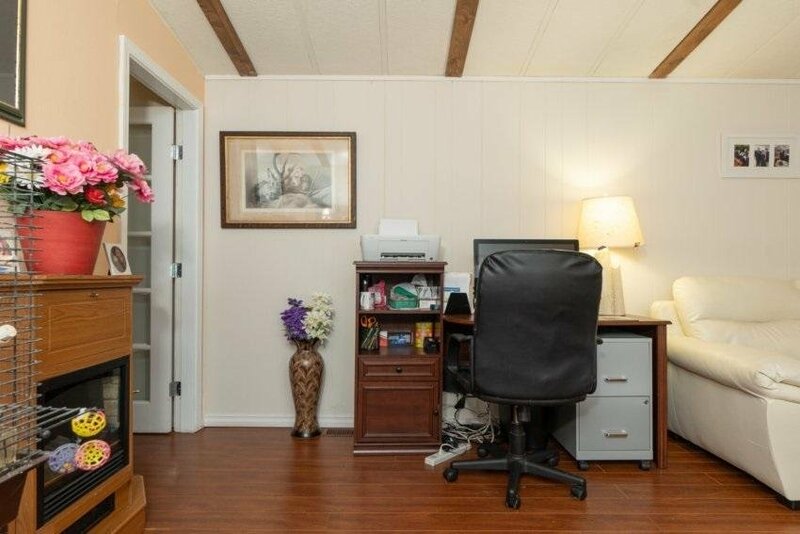 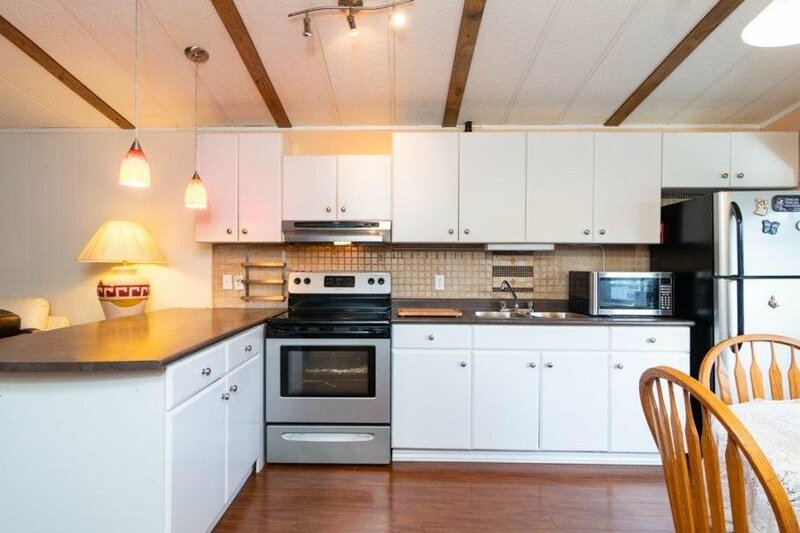 Open concept kitchen, laminate flooring, newer washer/dryer and appliances, large bay window. 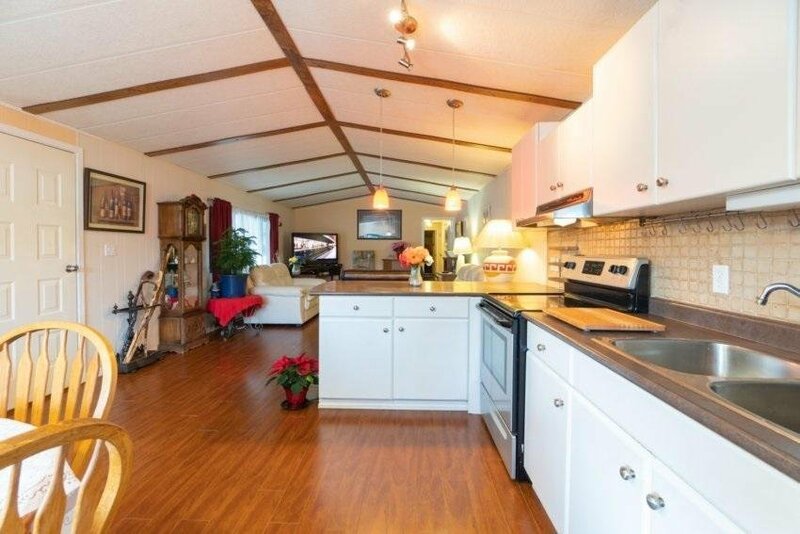 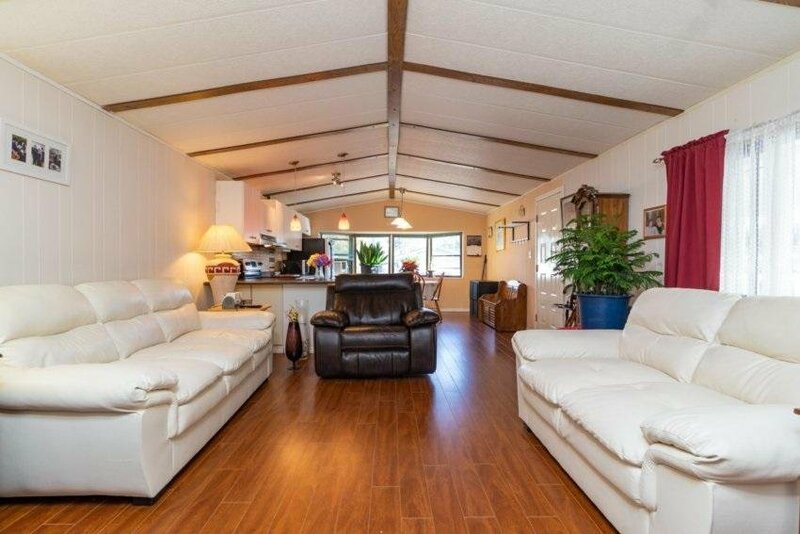 Large covered patio and tool shed outside. 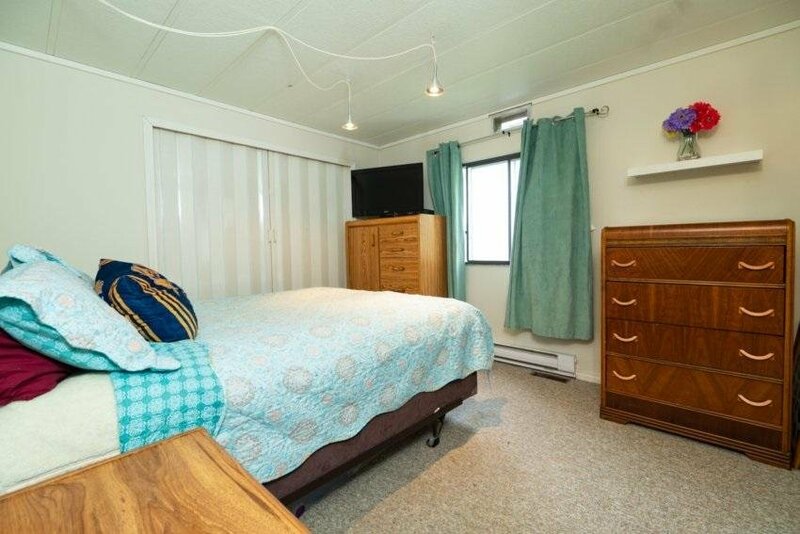 The park has a club house and outdoor pool.